Today our country's comprehensive competitiveness of steel has reached the international level, we have become a steel producer. With the demand for transport, has continued to improve gradually built underground in various cities, and the steel sheet pile is an integral part of the construction of subway engineering materials. 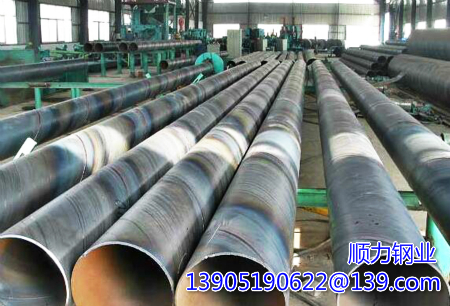 Steel sheet piles sealing effect is good, close contact between the two, but also high strength recycled. In accordance with the cross-sectional shape of the steel sheet pile, the common are U-shaped and Z-shaped two kinds. Underground Railway building multi-use U-pull method and word play, like steel, but in the construction methods are single and double steel sheet pile cofferdam points. Because the underground construction requires relatively deep excavation, general use of screen-structure to protect the vertical steel sheet pile, in order to better construction. Larsen steel sheet piles sheet pile consisting of positive and negative deduction lap around the wall. Common length of 12m, 15m and 18m. If you are using the channel to pile length of about 6-9 meters, calculate the length of the decision model. Foundation construction can be completed after the filling out of the sheet piles have been used over again, time is short, easy construction. Channel steel sheet pile due to the bending capacity is weak, can only be used for pit depth of less than 4 meters, the construction of structures at the top twelve Move support to prevent deformation after excavation. At a depth of 5-8 meters in the pit, usually more capable of bending Larsen steel sheet pile, pull anchor depends on whether the support of local soil and other circumstances. Subway construction aspects of the smooth steel industry friends can contact us. We can meet your construction project to provide reasonable underground steel sheet pile construction solutions.